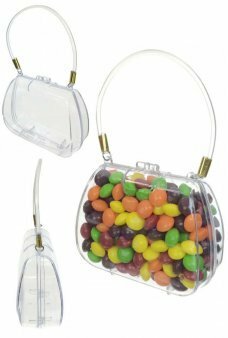 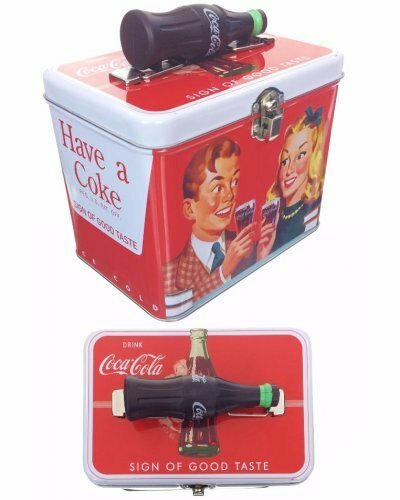 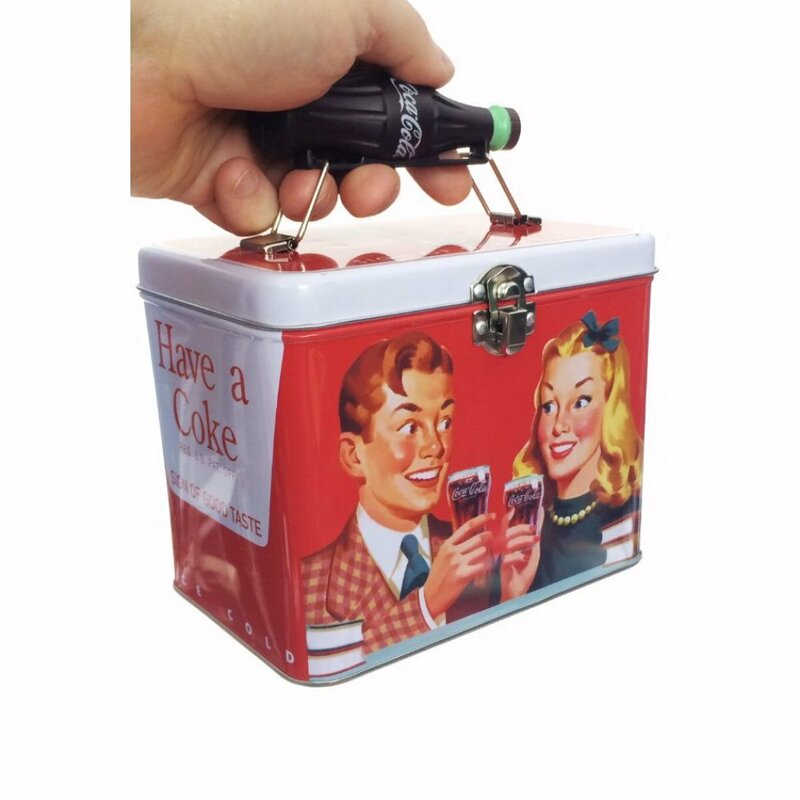 It’s a great looking retro Coca-Cola tin Lunch Box with a Coke Bottle for a handle! 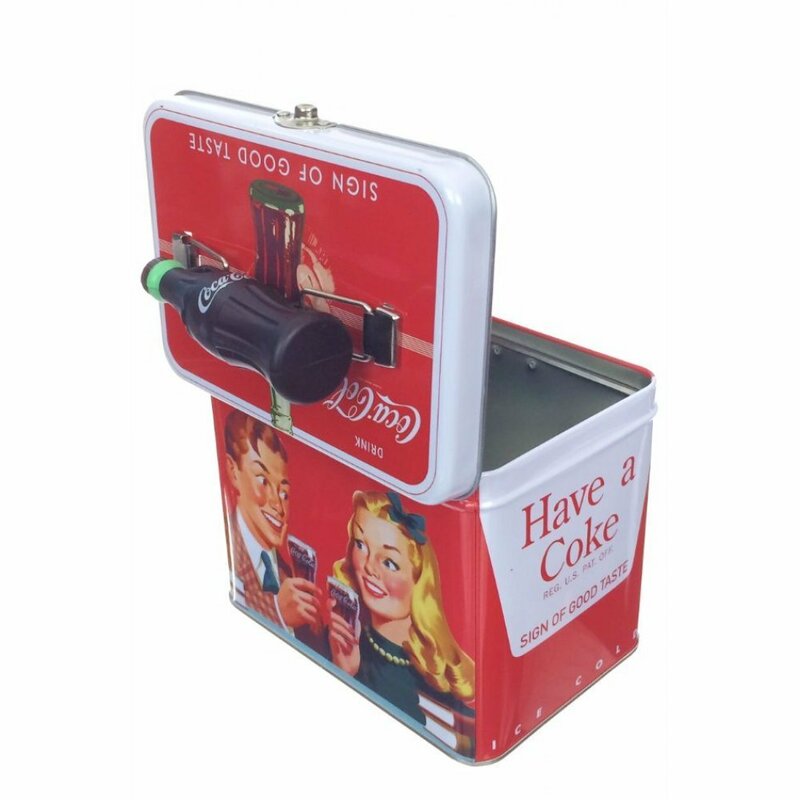 This rectangular tin box features a Cute Couple and the 1957 slogan “Sign of Good Taste.” Our white and red Coke lunch box features high quality tin printing with an adjustable plastic Coca-Cola bottle handle and a latched tin lid. 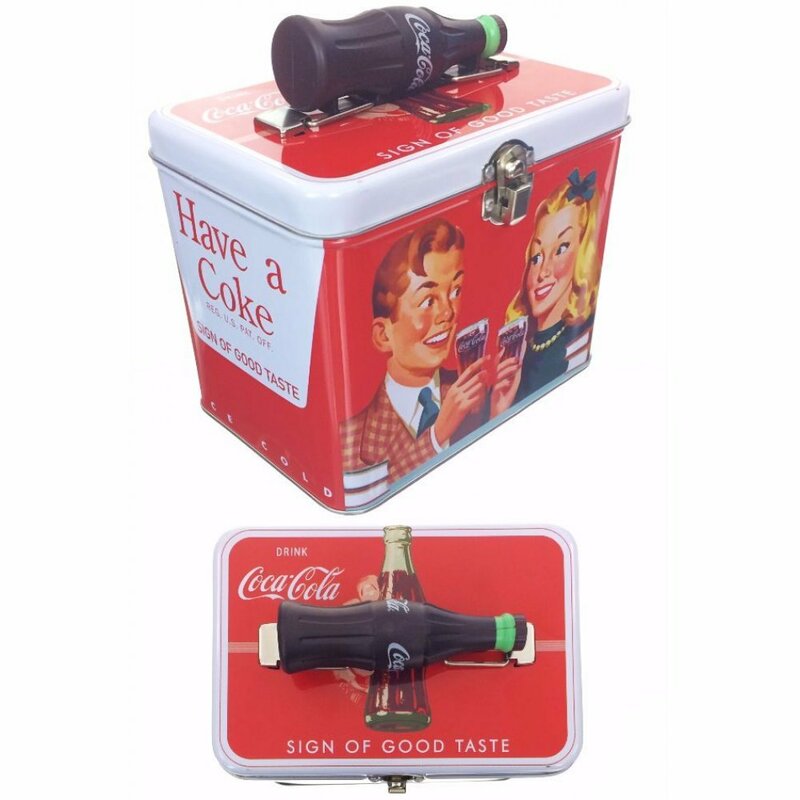 A high quality gift and retro storage box for your Coca-Cola Collector.